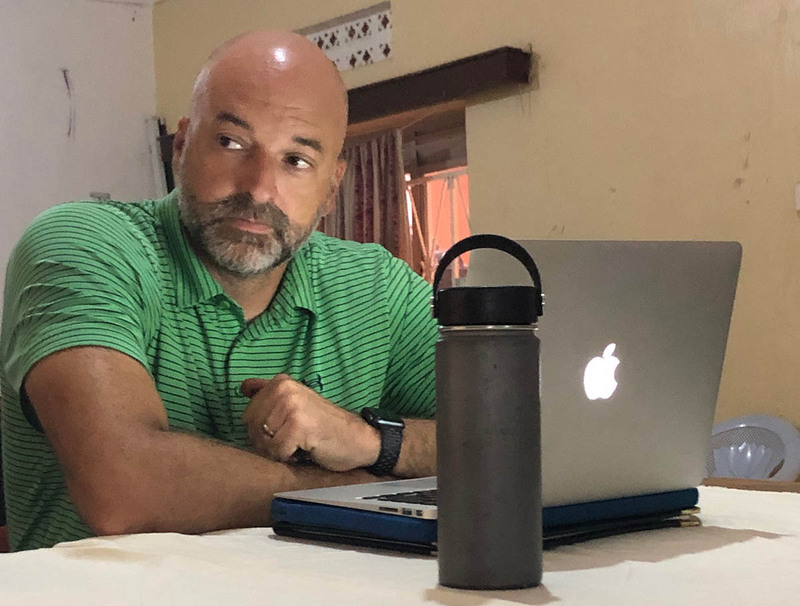 Read updates from Pastor Larry Szyman as he and one of FCC's elders make the final due diligence trip to ensure that FCC's goal of seeing an African-led, disciple making, church planting movement takes root in northern Uganda. FCC Elder John Blum and I are currently (1:40 am Gulu time--this post brought to you by jet lag!) in Gulu in northern Uganda on a due diligence trip to ensure that an African-led disciple making, church planting movement takes root.This process began in earnest over a year ago. I want to take a moment on this post to explain all the letters above. FCC, my beloved Faith Community Church located in Hudson, WI. SCVLT--this stands for the St. Croix Valley LEAD Team. This team comes from pastors and leaders of the six western Wisconsin churches that we work together with in the purpose of shared mission. They include our sister churches in Somerset, New Richmond, Baldwin, River Falls and Prescott, in addiction to us. Together we had the Vision for the Valley event last summer that resulted in funding this vision in Uganda. If the due diligence process concludes as we hope it does, it will result in nine training trips over the next three years with the trainers coming from the six LEAD Team churches. We partner together as local churches to accomplish what would be much more difficult apart. TLI--Training Leaders International. TLI's objective is to provide quality biblical and theological training for the 85% of the pastors who have no formal training, usually on continents others than North America. They provide curriculum, coaching for the members of the LEAD Team going on the trips and one person is sent on the thrip to ensure quality control and the most effective training experience possible. FCM--Four Corners Ministries. Four Corners is a US-based organization that has been instrumental in the confidence we have in this due diligence process. Kris Mobbs, an American, is based in northern Uganda and through Four Corners Ministries has helped us with the three biggest obstacles to our goals: getting the right type of leaders to the trainings, having leadership on the ground to assist the trainees and an accountability structure on the ground to ensure the goals are being met. Kris has led a team that has interviewed each trainee twice and have set up all of the logistics here in Gulu. They will also assist in the actual training down the road as we slowly entrust the ministry to them, so that at the end of the three years, they are able to carry the work forward for the Acholi and Ma'di people groups. Now that I think about it, there is yet another para-church group that is part of the story. It was at a TGC (The Gospel Coalition) conference in 2017 when I met a man whose son was based in Gulu gave me contact information for Kris Mobbs. Kris met with the LEAD Team in Minneapolis. We began a dialogue and started planning (including 10 or so SKYPE conversations with Kris in Uganda) toward what is going to start in six hours. We will meet with northern Ugandan leaders to invite them on a three-year journey that will result in them more faithfully understanding and proclaiming the Bible, and leading local churches who plant other churches who plant other churches. So Faith Community, we are empowering local and global and missionary leaders together. And we are doing so with a host of others. God in his kindness has created a series of para church organizations that are assisting us in carrying out the vision and mission that we share. I am thankful for God's supply through these partners and I am thankful for you. So together FCC-SCVLT-TLI-FCM are serving together because of an introduction that took place at a TGC conference.